Gregory Smith was certified as an appellate specialist by the California Bar Association until after he retired and became a partner emeritus in 2009. He handles complex appeals in a wide variety of cases, including matters involving corporate governance, entertainment law, insurance law, securities fraud, real estate, Indian gaming law, attorney malpractice, and environmental law. He has handled hundreds of appellate matters, including cases before the U.S. Supreme Court, the California Supreme Court, the Delaware Supreme Court, the Nevada Supreme Court, and various federal circuit courts. He has practiced extensively before both the U.S. Court of Appeals for the Ninth Circuit and the California Courts of Appeal. 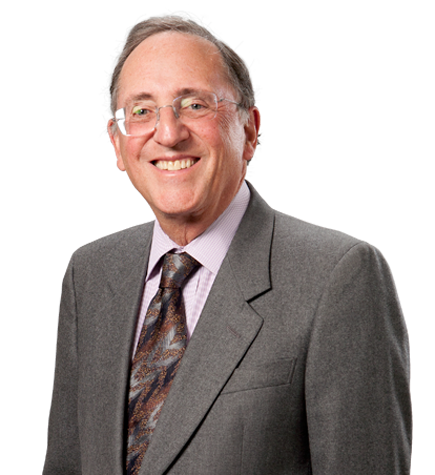 Gregory also has expertise in legal ethics, advising and representing law firms in connection with ethical issues. He was the firm's principal ethicist until becoming partner emeritus. He is a past member of the Los Angeles County Bar Professional Responsibility and Ethics Committee. Gregory has taught on appellate law, legal ethics, and legal writing. His articles on appellate law have appeared in a number of publications including the Daily Journal and the Orange County Federal Bar Association Newsletter. Represented plaintiff City of Hope in connection with the California Supreme Court’s upholding the largest contract award in the history of the State of California, in City of Hope National Medical Center v. Genentech (2008) 43 Cal.4th 375. Represented the defendant in Ortiz v. Lyon Management Group, Inc. (2007) 157 Cal.App.4th 604, in which the Court of Appeal upheld Gregory’s position that the Investigative Consumer Reporting Agencies Act was unconstitutionally vague as applied to tenant screening reports containing unlawful detainer information. Represented the real parties in interest in HLC Properties Limited, et al., v. Superior Court (MCA Records, Inc., et al.) (2005) 35 Cal.4th 54. In the matter, the California Supreme Court upheld Gregory’s argument that, under California Evidence Code § 953, the attorney-client privilege terminates when the executor or administrator of the client's estate is discharged, and the fact that the decedent operated his affairs with employees is irrelevant to this conclusion. Represented O’Melveny & Myers LLP in O'Melveny & Myers v. FDIC, 114 S.Ct. 2048 (1994). In this matter, the U.S. Supreme Court upheld Gregory’s position on behalf of O’Melveny that, absent extraordinary circumstances, claims brought by the FDIC were governed by state, not federal, law. Represented the appellants in U.S. v. 103 Electronic Gambling Devices (9th Cir. 2000) 223 F.3d 1091, and U.S. v. 162 Megamania Gambling Devices (10th Cir. 2000) 231 F.3d 713. In these matters, Gregory established the principle that certain electronic bingo games were Class II and could be conducted in the absence of tribal-state compacts under the Indian Gaming Regulatory Act, and that technologic aids to bingo were not prohibited in Indian country by the Johnson Act. Represented the California Department of Transportation in Professional Engineers in California Government v. Department of Transportation (1997) 63 Cal. 4th 543 in a challenge to the rules generally barring the state from contracting with private entities. Represented the defendant/respondent in Shields v. Singleton (1993) 15 Cal.App.4th 1611, in which the court adopted Gregory’s arguments and placed strict limitations on the bringing of derivative suits against corporate directors. Represented the plaintiff/appellant in the relatively early environmental case of Cadillac Fairview v. Dow Chemical Co., 840 F.2d 691 (9th Cir. 1988), establishing the important principle that a private cause of action was permissible under CERCLA to recover costs expended in connection with the cleanup of hazardous substances, notwithstanding the complete absence of governmental involvement, action, or impetus. Represented Bet Tzedek Legal Services in an amicus brief in American Insurance Association v. Garamendi, 123 S.Ct. 2374 (2003), arguing to uphold California's Holocaust Victims Insurance Relief Act of 1999. Represented 13 retired California Court of Appeals justices in an amicus brief in the U.S. Supreme Court in Smith v. Robbins, 120 S.Ct. 746 (2000). The brief was cited both by the majority and by the dissent. Represented the plaintiff/appellant in an amicus brief in Boyd Gaming Corporation v. Commissioner of Internal Revenue, 177 F.3d 1096 (9th Cir. 1997). In this case, Gregory’s brief provided the basis of the court's holding that expanded the right of employers to deduct the cost of on-site meals. Represented the defendant/respondent in an amicus brief in Cole v. Fair Oaks Fire Protection District (1987) 43 Cal. 3d 148. The California Supreme Court adopted the arguments in Gregory’s brief and held that an employee may not maintain a civil action in the courts for intentional infliction of emotional distress against his employer when the conduct complained of has caused mental and physical disability compensable under workers' compensation law; instead, such claims are within the exclusive jurisdiction of the Workers' Compensation Appeals Board.